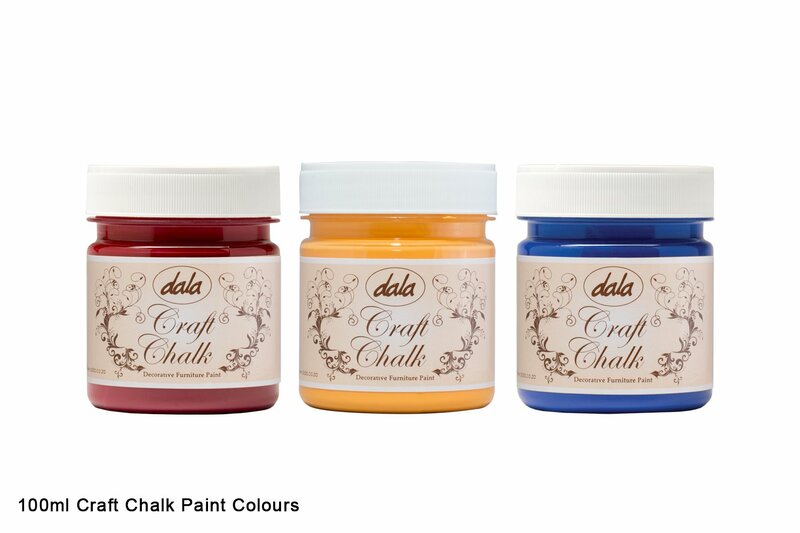 Dala Craft Chalk Paint enables you to create vintage, shabby chic and distressed effects on almost any surface with no pre-sanding required. Just paint straight onto wood, metal, ceramics, brick, concrete, walls, floors, certain plastics, basketry and weaving. IDEAL FOR: WOOD, METAL, CERAMICS, BRICK, CONCRETE, WALLS, WOODEN FLOORS, CERTAIN PLASTICS, BASKETRY AND WEAVING. No pre-sanding reqired (but is recommended on uneven surfaces). 1.Apply 2 -3 coats of paint to acheive your desired intensity, waiting 40 minutes between each coat. 2.Once dried, sand the painted surface first with a fine grit paper / water paper to create your desired distressed effect. Rougher grit paper may be used to further distress to your preference. 3.Finish the piece using Dala Furniture Wax Finish. This will enhance the colour of the paint and provide the piece with a water resistant finish. 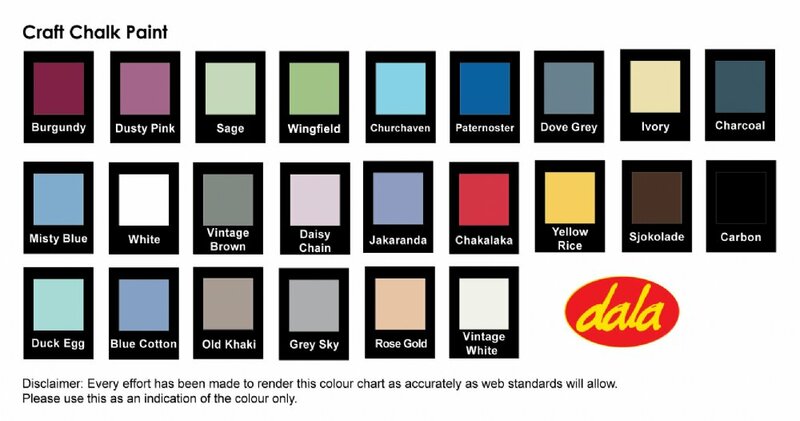 Please Note: Dala Furniture Wax Finish is suited for use on indoor pieces. Painted pieces in an outdoor environment must be varnished. This item has 1883 views.